Yet more Scandinavian cosmic-disco from another Norwegian space cadet, Daniel ‘Blackbelt’ Andersen completes the trilogy of nu-disco Lp's with Linstrøm and Prins Thomas this month with his new album Blackbelt Andersen 2, released Nov 06, 2012 on the Full Pupp label. A longtime player in Norway's dance music scene Andersen brings us a slight twist in flavour - Mann på Mars delves deep into the cosmos with a layer of balearic house and latin vibes giving his sound an altogether sun-flecked feeling. So, that's your comic space disco sorted for the foreseeable future then. 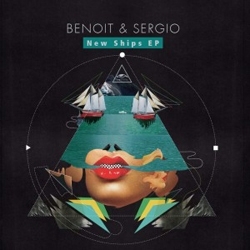 Benoit & Sergio released their New Ships EP last month with the massive floor filler New Ships navigating the way into a deep house euphoria. The Washington, D.C production duo's stylish groove floats into your subconscious with a sun-glazed Rhodes hook, opaque vocals submerged in orchestral strings and a high octane arpeggiation of sound. Here we have our first big contender for album of the year status. 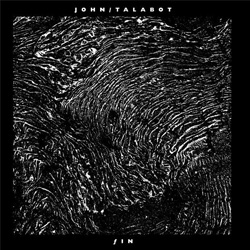 Barcelona's John Talabot releases his first album, ƒIN and it's a stunner! 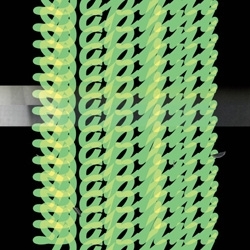 Talabot takes on many different styles on this record and weaves them together seamlessly with confident grace. Bursting with a rainbow of colours, intricate textures and deep atmospherics that delve in and out of deep house, disco, and indie pop with shades of tropical lushness and Balearic beauty. Quiet and loud, dreamy haze and pulsating beats. There are so many moods on this LP and that's what makes it so interesting, I discover something new with every listen and the more you listen the more it opens up. Destiny a co-production with Madrid's Pional is an outstanding house tune that's sounds as good on headphone as on the dancefloor. Pional turns up again for the album closer So Will Be Now, another house track that leaves you wanting more. Outstanding and Highly Recommended. I love the percussion in this track, minimal but melodic. 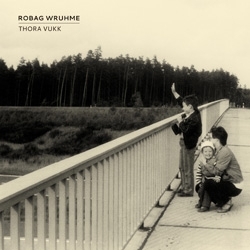 Taken German producer Robag Wruhme's (AKA Gabor Schablitzki) album Thora Vukk released this summer. A great album full of well crafted compositions created with self recorded samples over celestial piano progressions and rushes. Taking in haunting soundscapes and killer deep house grooves. Pnom Gobal is one of the more chilled out moments with a beautiful hypnotic vibe. Prognosen Bomm is equally as captivating, The title track, Wupp Dek and Brommsen Böff are also standout tracks. Harmonic rhythmic swagger that's highly recommended.